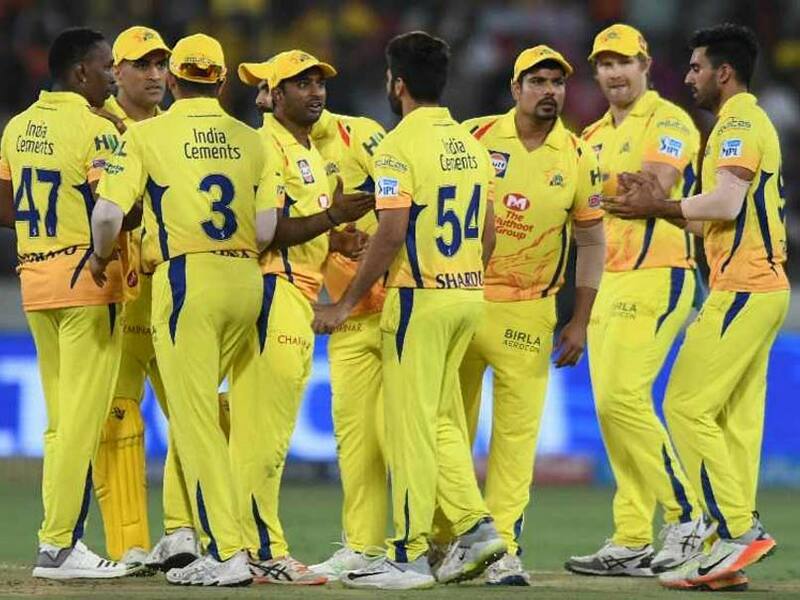 Chennai Super Kings defeated Kolkata Knight Riders by 5 wickets in the 29th match of the 12th season of the Indian Premier League. In this match played at Eden Gardens, Chennai won the toss and decided to bowl. Earlier, batting first, Kolkata scored 161 for 8 in 20 overs. Chennai won the match by scoring 162 runs in 19.4 overs. Imran Tahir was selected as the man of the match. He sent 4 Kolkata batsman to the pavilion. This is the fourth consecutive win in this tournament for Chennai. This win is more special for Kolkata as Chennai has won against Kolkata after 6 years at the Eden Gardens. Earlier, on 20 April 2013, he had beaten Kolkata by 4 wickets on this field. Since then, he played 4 matches against Kolkata on this ground. Today, 3 of the previous matches were successful in winning Kolkata. Chennai is at the top of the table, winning 7 out of 8 matches. It has 14 points. It is almost certain to reach its playoff. Kolkata has won 4 out of 8 and is in second place. This is the third successive defeat of Kolkata. This is the 10th consecutive match in this IPL, in which the team pursuing the goal has won. On Eden, Chennai and Kolkata were in the ninth time face to face. After this win, Chennai’s record of winning-defeats against Kolkata has been recorded at 5-4. In these nine matches, the team who chased the target for 7 consecutive and total 8th time has been successful. The batting team won the match only on March 16, 2010. In that match, Chennai beat Kolkata by 55 runs. Suresh Raina was the top scorer from Chennai. He scored an unbeaten 58 off 42 balls with 7 fours and a six. Ravindra Jadeja scored an unbeaten 31 off 17 balls with the help of 5 fours. On behalf of Kolkata, Piyush Chawla got 32 and Sunil Narine got 2-2 for 19 runs. Harry Gurney took one wicket with 37 runs. Earlier, Chris Lynn top scored with 82 runs for Kolkata. Batsman Kuldeep Yadav, Shubhaman Gill, Dinesh Karthik, Andre Russell, Chris Lynn, Robin Uthappa, Nitish Rana, Sunil Narine, out of his side. Piyush Chawla remained unbeaten on 4 off 5 balls. Faf Duplessis took 4 catches. He became the sixth batsman to take 4 catches in one IPL match. Before that, Sachin Tendulkar, David Warner, Jacques Kallis, Rahul Tewatia, David Miller have done this name for themselves.